- Ebay (www.ebay.com) has categories for gift cards and manufacturers coupons. Sellers offer discounted gift cards for national chain stores as well as manufacturers coupons for everything from Ore-Ida Potatoes to Tylenol and Cascade. - Groupon (www.groupon.com) offers discounts for restaurants, spas and events in your area such as a combination manicure/pedicure for $34 or $89 for one night at the Weathervane Terrace Inn in Charlevoix. - Retail Me Not (www.retailmenot.com) offers bargains on clothing, accessories, food and cosmetics at national chains by providing discount codes and printable coupons. - Living Social (www.livingsocial.com) provides local deals on everything from eye exams meals. 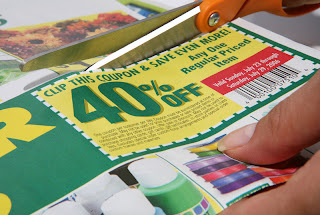 All You (www.allyou.com) This site focuses on coupons for household items. - Coupon bloggers— Search the term “coupon bloggers” to find online bloggers who have compiles special deals. - Expiration dates and exclusion dates. (Weekends and holidays may be excluded). - Specifics about which products and services are eligible for the discount. 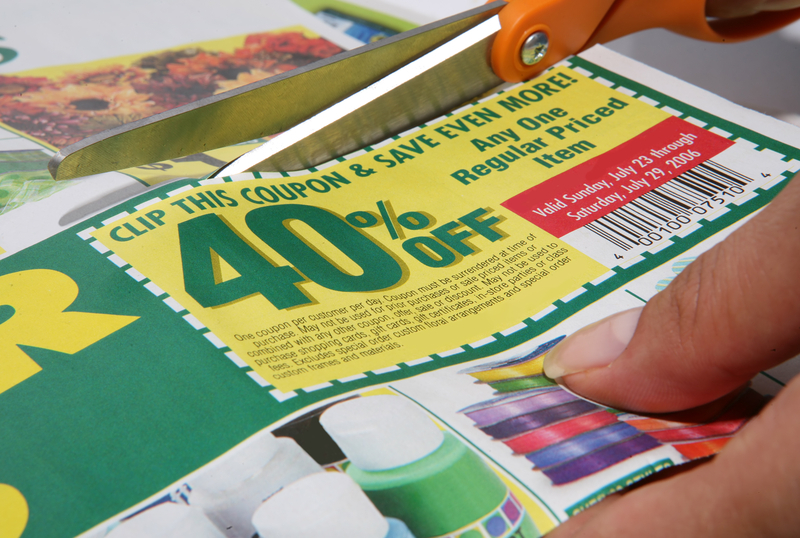 - Store locations where the coupon can be used. - Some discount web sites promote their bargains at national retailers but a click to that specific offer just connects to that retailer’s web site. National retail chains often offer special deals online without having to go through a discount/coupon aggregator site. Don’t forget about eCoupons. Many grocery retailers such as Kroger and Meijer offer additional discounts when you load their online coupons to your store loyalty card. These are convenient because you can load them to your card using your computer or mobile phone, through the stores app. Discounts are automatically taken at the register when your card is scanned. Behind the scenes, online coupons and discounts are offered to encourage purchasers to try something new. The retailer/advertiser hopes new customers will have a great experience and will return. In other cases, slow business may be the root of the discount offer as a way to generate revenue. Either way, savvy buyers can benefit.